Why Match Me Happy’s Buckinghamshire Dating Site? The benefits of online dating are countless, not only can you enjoy seeking out new singles from the comfort of your home but you can also create relationships with them prior to your meeting which means awkward dates are thankfully a thing of the past. Building up connections using online features like winks, messaging and encounters will help you feel positive about your search for love, even if it’s just new friends you acquire. You’ll never feel lonely when you’re part of an online community as friendly as Match Me Happy Buckinghamshire Dating Site. With so much to see and do, it’s easy to fall in love and you’ll never be short on fun activities- from the beautiful manor houses of Aylesbury and Buckingham to the High Wycombe museums and boutique finds of Chesham. We’ll show you with like minded singles for free and search further for singles that are never too far away. Dating and maintaining relationships is as easy as possible. With a Buckinghamshire single by your side, you’ll always have an excellent time exploring this beautiful part of the UK! 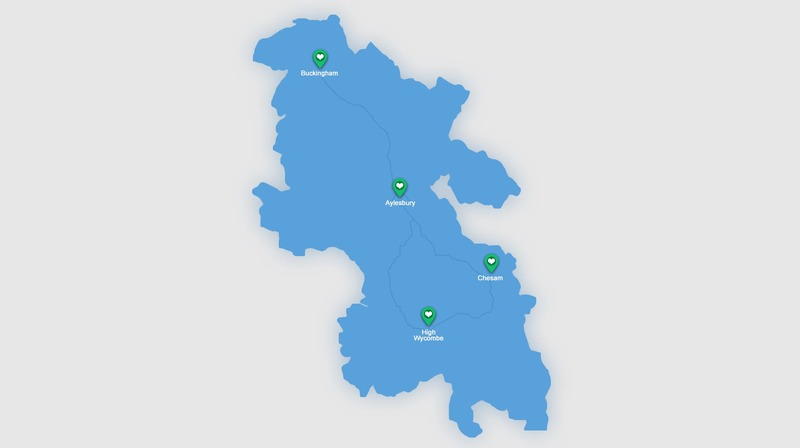 Who is our Buckinghamshire Dating Site for? Match Me Happy’s Buckinghamshire Dating Site is for everyone, no matter your age or background, hobbies and interests- you’ll always find someone who you bond with and it takes no time to be put in touch with like minded matches. If you’re busy on the go, you can browse and chat to singles at a time that best suits you. You’ll get email notifications so even if you can’t be online, you won’t miss anything and it will all be waiting for the next time you login. Those who are new to single life, or perhaps just curious about what you’ll find, we encourage you to signup as your confidence and social skills with soar giving you a new lease for life and enthusiasm when it comes to dating and relationships! Become a Member for Free? It’s a simple process and you’ll be guided through all of the stages to ensure you’re comfortable using the site. We ask that you answer a questionnaire covering some basic topics- these include; lifestyle habits, hobbies and interests, preferences, occupations and social/family values. It helps us to connect you with the most compatible matches so you can spend more time getting to know new people and less time clicking away from unlikely matches. Upload a profile photo; this is the image you’re best represented by so choose one you feel happy with! You’ll gain the best results if you go for images of you smiling and looking friendly so people feel like they can approach you! The last stage is to write a short description about yourself- it’s a good time to convey your true character so just be honest and upbeat and don’t stress about writing something witty or detailed if it’s doesn’t come naturally, a few sentences will be great! Can I Join Today for Free? You can join today and start browsing Match Me Happy’s Buckinghamshire singles immediately! It’s time to take the hunt online to find your soulmate and there’s no time like the present! Broaden your social circles and increase your chances of finding love!